I know this cake looks a bit like the Tower of Pisa in Italy but it is just as delicious. If always had a bit of difficulties cutting cake 100% straight with the effect of a quit crooked cake. Don`t let the shape of the cake iritate you and have a go at this recipe. 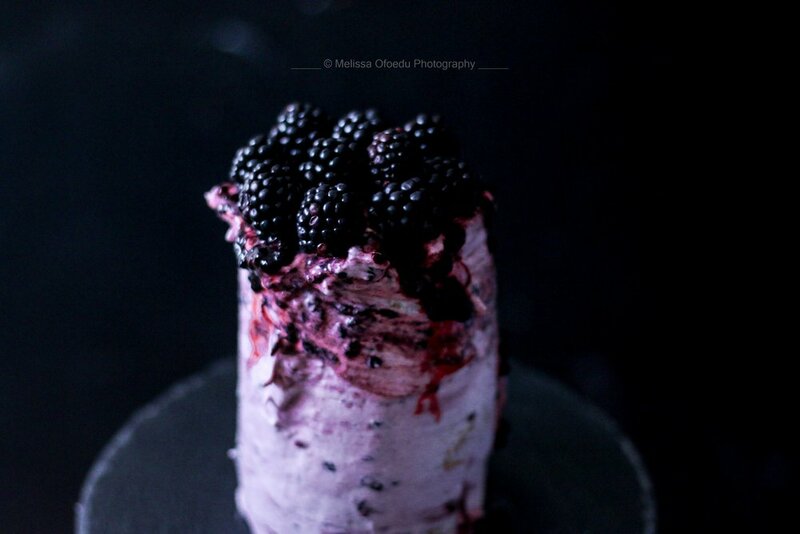 In my neck of the woods Blackberries are a luxury. 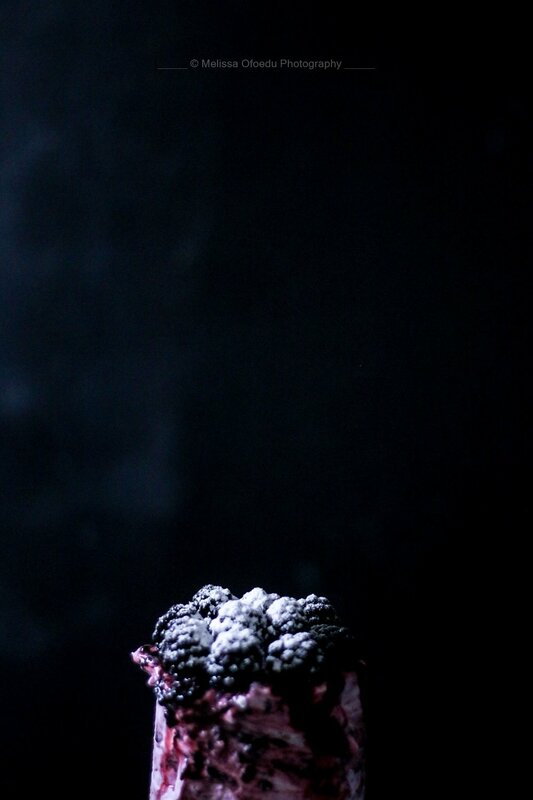 They are super expensive for a very small amount which is why I hardly ever by them but I had this vision of a pumpkin spice cake with blackberries. For the recipe you will not need many Blackberries, the main reason for this is that I simply eat most of them while backing and didnt have that many left for the cream. But the cream turned out great anyway. For the Pumpkin Cake you can use any Pumpkin you desire. I used the one I had at home, which was a Hokaido Pumpkin. They are relativley soft and creamy when you mash them and quit easy to cut. Many other Pumpkins are annoying to cut and cook. The important thing is to cut of the skin. If you want a more intense Pumpkin tast then you can add some more Pumpkin Püree but I tought the recipe was quit perfect the way it is. 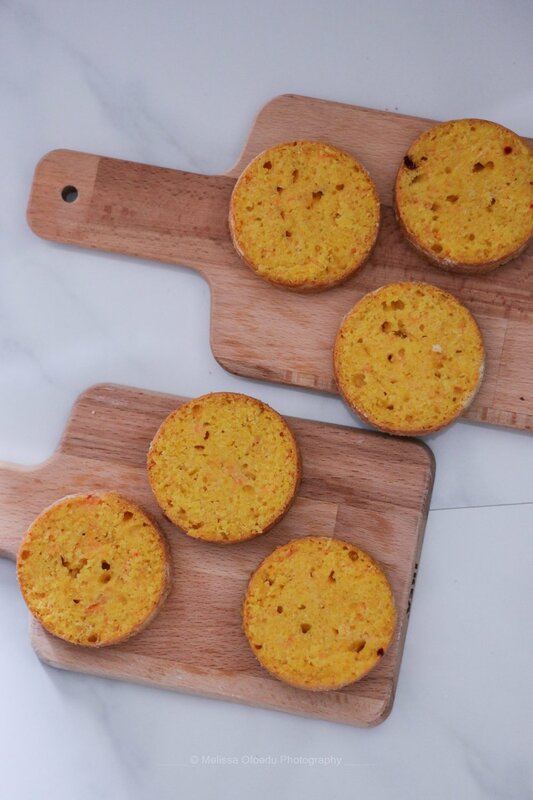 I baked 6 small Pumpkin Cakes but only used 4 in the end. If you are more adventourus you can tray and use all 6 Cakes but then you need to send me a picture of how you are cutting a 6 cake tower.